Fifteen to twenty years ago, computer science was a different profession than it is today. During that time, computer scientists were trying to figure out how to locally or distantly connect two or more computers together. Today, much of computer science is about assisting other disciplines with solving their problems using technology. David Keathly, a Science Senior Lecturer and Undergraduate Advisor at the University of North Texas Computer Science and Engineering, says that computational epidemiology is an example of how computer science helps other specialties today. It involves developing computer models and imitating different diseases to see how they expand throughout a population. This could help public health and medical specialists regulate the advancement of these diseases to avoid widespread infections. The undergraduate computer science program at UNT is structured so that students are equipped to begin a career in the technology field. “Technology is changing so rapidly these days that a successful computer scientist, or any other technology professional, has to be ready and able to adapt and learn new skills all the time,” Keathly said. The undergraduate computer science program at UNT is structured so that students are equipped to pursue advanced degrees in the technology field and/or begin a career in the technology field. Classes teach students how to act responsibly and ethically in the engineering profession, and how to work effectively in a team setting using effective communication. During their course work, students will complete professional assignments that show their ability to design, develop and implement software using principles of computer science. A minor in computer science is also available. UNT offers advanced degrees in computer science, which consist of a Master of Science in computer science and a Ph.D. in computer science and engineering. Keathly says a master’s degree brings more specialization and focused depth in computer science. It helps students interested in the computer science field hone in on a particular area of interest. “Typically master’s students can also expect an average of about $8,000 to $10,000 more in starting salary over those with a bachelor’s degree, as well as a higher level entry point into a company’s infrastructure,” Keathly said. Computer science master’s graduates could be hired as a lead, group manager or project director, whereas someone with a bachelor’s degree would be hired as a developer or designer. Keathly says that it greatly depends on the student’s performance in the program. A master’s degree also opens up doors into teaching too. Students have the opportunity to teach at community colleges as adjunct professors or lecturers at the university level. Some could also teach part time as an adjunct while working in industry. Keathly says that college teaches the theoretical basis of computer science to students, but it can’t teach all of the skills necessary to succeed throughout a career. It takes hard work and participation in lifelong learning to succeed in the professional world as a computer scientist. Examples of career titles that computer science graduates might have are: programmer, software designer, business or systems analyst, software developer, systems support and software engineer. When asked what it takes to be successful in the computer science program at UNT, Dr. Keathly said good skills in math and science as well as an interest in technology. He also said that good study skills and time management are very important. Other than that, it is the same as most majors-having a genuine interest in the topics you are studying and a willingness to work hard. In order to help students prepare for the job market, UNT has a Career Center and an Internships and Cooperative Education program. Keathly says the Career Center offers many career fairs to students and an online job board that can really benefit students seeking their first professional job. “Our engineering and computer science students participate in a large number of internship programs that all pay at an average of about $15 an hour,” Keathly said. “They can also earn course credit for their experience.” Internships afford students a great opportunity to test out what computer science is in a professional environment as well as network future job opportunities. To break down the difference between computer scientists and computer engineers, Keathly says that computer engineers are normally involved in building systems that include hardware and software parts. Examples include consumer electronics, smart phones and network hardware. Computer scientists are more focused on the software and algorithms. Examples include simulations, operating systems, software products and video games. 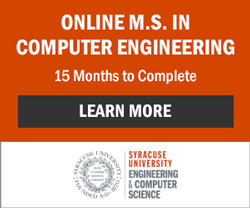 A branch off from computer science is software engineering, which is mainly focused on the processes for developing software. This development process is often referred to as the development lifecycle. In most software development projects, the tasks begin with defining a set of requirements for what the suggested system will do. There is also a series of detailed designs made before software coding begins. Tests are defined and performed before the final product is ready for the consumer. This step is followed by maintenance and support, lifecycle upgrades and revisions. The software engineer’s role includes this entire process, how to perform the different stages, improve the stages, and document it all. Currently, Keathly is a doctoral candidate in the computer science and engineering program at UNT. He holds a Bachelor of Science and a Master of Science in electrical engineering from Oklahoma State University. He spent many years working in industry for local companies, as well as owned and operated four of his own consulting and training companies. He has taught at Collin County Community College and University of Texas at Dallas as an adjunct. He joined UNT as a faculty member in 2004. Keathly’s research areas include computational epidemiology, image processing and computer vision and information visualization and robotics. He is also co-director of UNT’s summer STEM camps, which include RoboCamp and Xbox Game Camp. He currently teaches capstone courses, which are two semester course sequences where students work in groups to define, build and deliver a product. This is typically done with a real customer either within or outside of the university. For more information about the computer science program at UNT or the computer science program, contact Keathly at david.keathly@unt.edu or 940-565-4801.